​Patreon recently announced it’s changing its business model by having its creators pay the finance charges each time they get a donation, and having each and every one of its patrons pay for each and every one of their donation’s finance charges. The changes are expected to take effect December 18th. There are a lot of us content creators and supporters who are very unhappy about this. 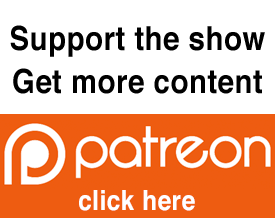 If Patreon carries out these changes on the 18th, I will be closing the Ostium Patreon account permanently, and I thank all those have have supported Ostium. If you have any thoughts, suggestions, feedback, or just wish to vent about this, please don’t hesitate to shoot me an email at ostiumpodcast@gmail.com.